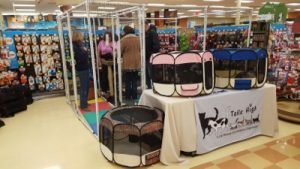 Tails High – Tails High, Inc.
A BIG thank you to PetValu Del Ray for the 140 bags of cat litter they collected on our behalf. During the month of June the store had a litter drive and customers donated all of that litter to Tails High! 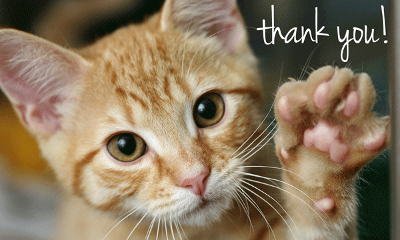 Our cats, volunteers and fosters thank you for your exceptional generosity and support! Meet our newest Momma, Doodles! 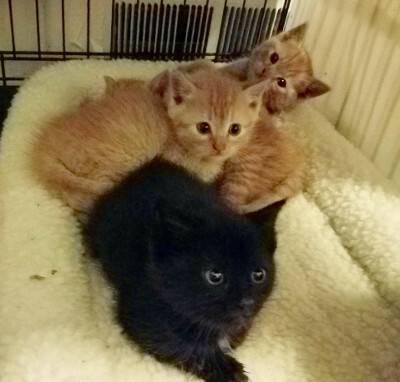 Doodles and her kittens are settling in with a Tails High foster until the kittens are ready to leave Mom and find forever homes. 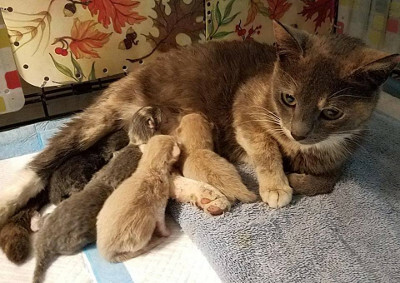 Doodles will take care of her babies and then she will have the opportunity to be adopted and never have to go through the stress of having litters of kittens on the streets again. Kitten season is in full swing and we remind you to spay/neuter your cats! 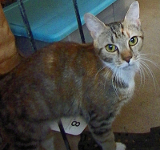 Tails High pulled this beautiful Momma, Honey, from Humane Rescue Alliance. 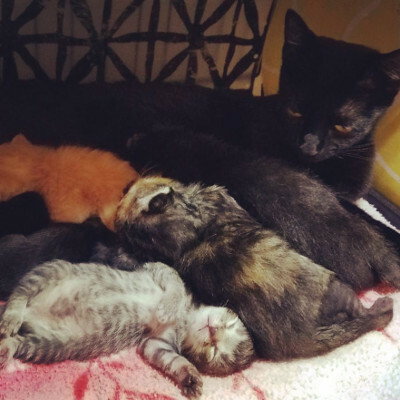 It was absolute perfect timing because she gave birth to five adorable kittens today! Honey and her babies will have everything they need in a wonderful foster home and we will share an update when Honey and her babies are ready to find their forever homes. Little PomPom was surrendered to a shelter, where the shelter staff quickly realized that the friendly little gray & white cat was very sick. 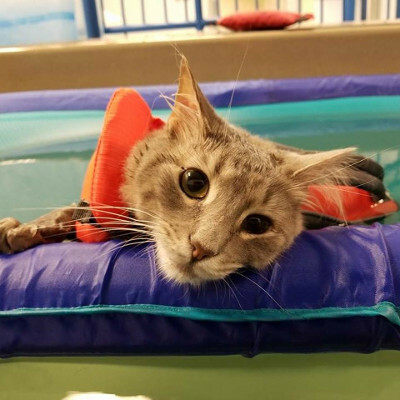 In addition to discovering that she’d suffered a traumatic injury to her backside along the spine, at nearly 1 year of age she had not yet been spayed. The vets were concerned and immediately operated to spay her, and when they did their fears were confirmed. PomPom had breast cancer. The mass was removed and everyone crossed their fingers, but sadly the cancer turned out to be aggressive. 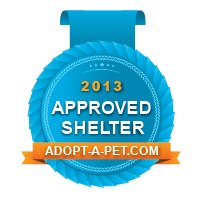 The shelter contacted Tails High, and we agreed to take PomPom in for what we expected would be hospice care. To the surprise of everyone involved though, PomPom’s health stabilized. Our plans shifted from hospice care to permanent foster, as it is expected that the cancer will return; and she required daily medication. The little purr-monster never let that bother her though, and all who met her declared her to be one of the friendliest, sweetest cats they’d ever met. We didn’t anticipate that anyone would be willing to take on a cat with this kind of prognosis, and then along came a wonderful woman named Philippa who is herself a young breast cancer survivor. She heard about PomPom from a friend who knew of the situation, and immediately wanted to meet her. It was love at first sight for them both, and today PomPom has a new home where she is happy and loved, and in turn brings happiness and love to her person. Please spay your cat promptly – un-spayed female cats are at a significantly higher risk for breast cancer than their counterparts who were spayed prior to their first cycle. Mammary cancer is the 3rd most common illness reported in cats, and it is also one of the most easily prevented. Matty and Dallas have become long term residents of Tails High. 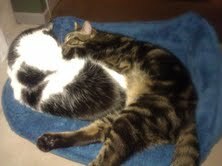 For the month of March we would like to highlight these two special cats in an effort to find them their forever homes. Please use this link to share these special cats with friends and family, help us get them adopted! Matty is an older but beautiful soul who had somehow ended up on the streets, relying on the kindness of strangers for at least 4 years before coming to Tails High. 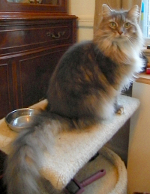 Her name derives from the fact that her coat was so badly matted when she arrived it had to be shaved. Now that it’s grown back in she’s learned to enjoy frequent brushings. Although cautious in a new home, once she decides that you’re an acceptable person she will flop down on top of your feet in order to hold you in place, so that you have no choice but to pet her. She then flips over onto her back for belly rubs, purring so loudly that she can be heard in the next room. She chases the laser pointer like she’s still a kitten, and will even answer when called, quickly trotting over. She enjoys lying with her head on your lap, or curling up in a cat bed (a suitably comfy one, of course). She’s very tidy about the litter box, never kicking litter out onto the floor. 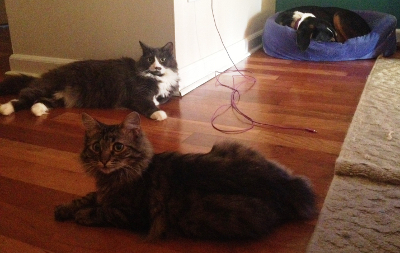 While willing to share her space with other cats, she prefers to remain aloof from them. Unless of course it’s her special friend Squeakie, who has been fostered with her for over a year now. While they can be separated, we’d love it if our odd couple could find a forever home to live out their golden years together. Amazon Smile is donating an extra $5 from now through June 16 for items purchased through the Amazon Smile program, and Tails High is one of the groups that is supported by the Smile program. 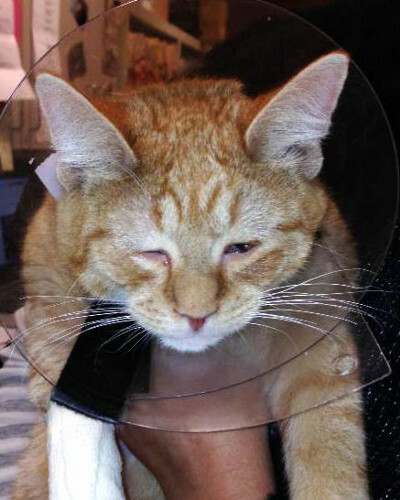 A big thank you to everyone who helped us cover Alexander’s necessary eye surgery! He has recovered beautifully and is doing very well with his new family in his forever home . It is often with a heavy heart that some of our senior kitties find their way to us and Henry was no different. In Henry’s case, he started his journey on New Years Day last year. His dad was being relocated into an assisted living facility and Henry was being surrendered because he had no one to take him in. Henry was depressed beyond imagine and went on a hunger strike. 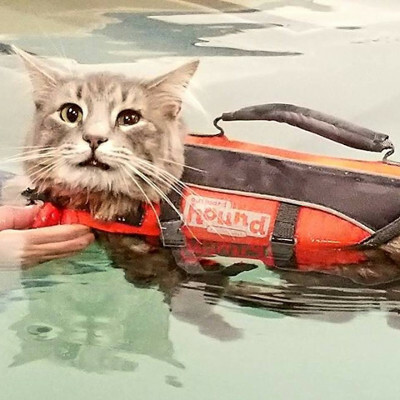 Over the next 6 months Henry learned that life does go on and that he could be happy again. 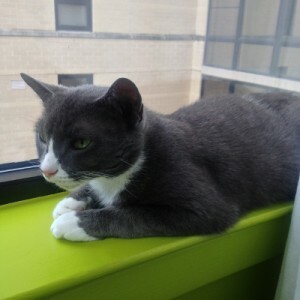 Enter Bonnie whose beloved kitty Tabitha passed from cancer. Both Bonnie and Henry with their broken hearts found each other and each is helping the other to heal. Everything really does happen for a reason. And love really is a many splendored thing. And in Henry’s case love has given him a new leash on life to live it fully and to be happy. If only we could get more people to consider adopting a senior cat – they really are the most grateful for it because they know the fate they were spared. It truly does take a village and what each of us does really does make a difference in not only the feline’s world but in the human’s as well. Many thanks to Bonnie and her family and to Henry for keeping an open heart while it healed and for trusting us. Our cups runneth over! issue has well been worth the drive to her Leesburg practice! as a scratch on his cornea. With a very delicate micro surgical procedure, the hair and skin can be removed to prevent this from happening. appreciate any and all donations to help with the $1,400 bill for this much needed surgery and related care. Thankfully, Abigail seems to be healing very well without the extensive surgery we were afraid she’d need to repair her broken pelvis! We’ve had her on “bed rest” in one room at her foster home for the past five weeks and slowly she began showing interest in climbing up on cat-desirable furniture and then she started to play! 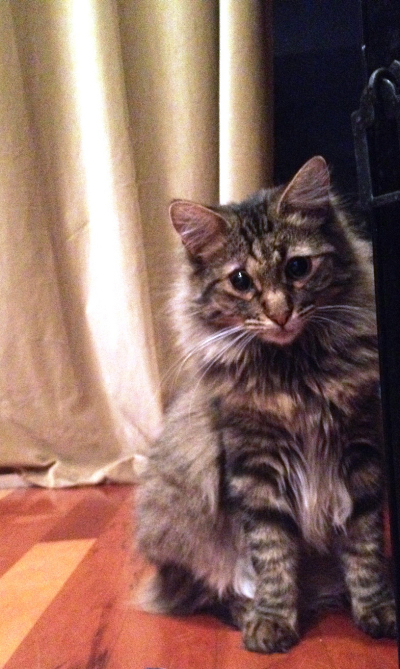 Abigail and her kitten Fletcher had begun wrestling and playing chase — slow, limited chase but still chase! We’ve seen her exhibiting typical cat behaviors like stretching her front and then rear legs, choosing to lay higher up, off the ground, and playing with mouse toys. Abigail runs to the door to greet every person who walks into her room. She walks right next to you rubbing herself on your legs until you sit down and then she hangs out loving all the petting she can get. 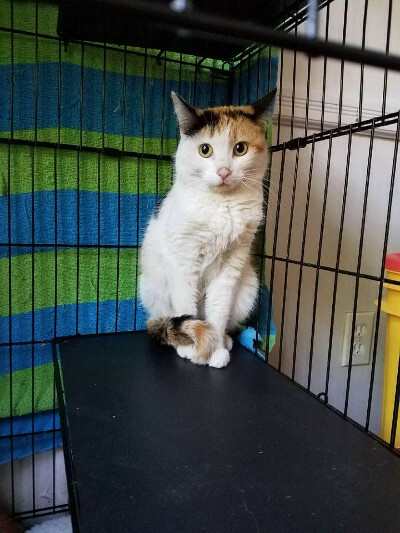 This past weekend, Fletcher was adopted with another Tails High cat and now Abigail is alone and looking for a place where she can finish healing and get lots of love and attention at the same time. We think Abigail would be best in a no-kids home and someplace with a calm atmosphere where she can play and run at her own pace. If you would like to help by fostering Abigail for a couple weeks, or maybe even adopting her please email us at meow@tailshigh.org. Abigail is slowly recovering from her broken pelvis. 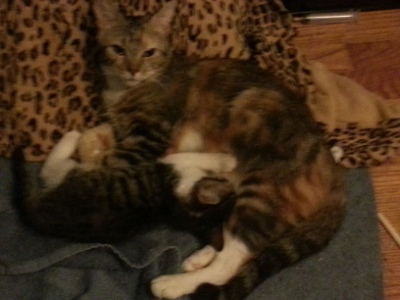 So far she is progressing well and is doing a wonderful job raising Fletcher, her kitten. As she’s feeling better, Abigail is starting to be inquisitive and wants to explore her space more and more. 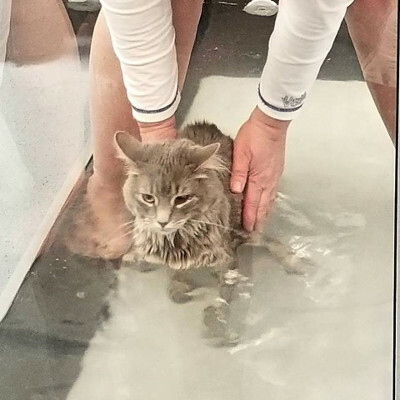 Because the vet wants Abigail to be limited in her movement while the bones are healing, her foster mom has created shallow steps to reduce the stress on her pelvis but still give her access to the litter box and the window where she can watch the wildlife. An update from Tiny Tim himself! I want to thank everyone who made donations to help pay for my surgeries. Your generosity made it possible for me to have the eye surgeries I needed and recuperate at a really nice foster home. I had my final surgery to help my eye shut properly and I’m so happy to have that cone of shame off for good. I have been adopted and I’m living the good life now! My new parents saw my story here on the blog and they couldn’t wait to adopt me. At my new house I have a big sister who loves to play cat and mouse games with me and a big silly dog who gives me kisses. I’m so happy to have playmates but I’m ecstatic that I still have my favorite feather toys. I’ve staked out a great spot on top of this super cool tower and I like to spend my days sunbathing up there. Thank you guys again for being so wonderful and helping me find this awesome new family.